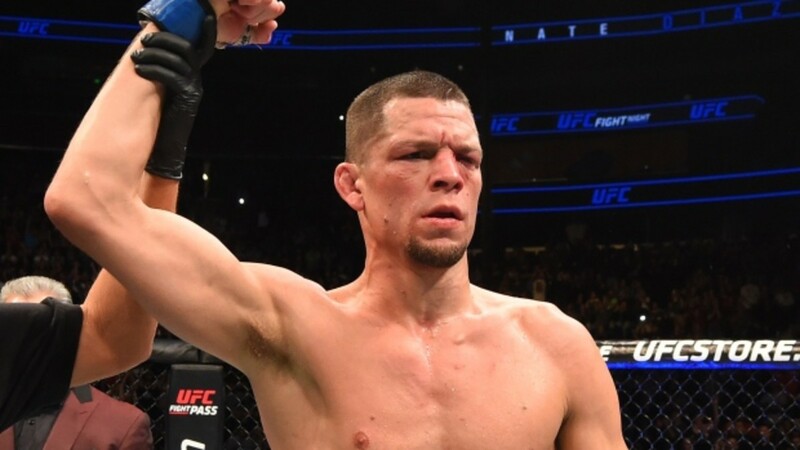 Two years removed from his last fight in the UFC, popular lightweight Nate Diaz will make his long-awaited return to face Dustin Poirier in the co-main event of November's UFC 230 from New York City's Madison Square Garden. The fight was first announced by the LA Times' Lance Pugmire, but has not officially been announced yet. It's expected the two will be part of Friday's UFC press conference that will feature a slew of fighters and fight announcements for the promotion's final months of 2018. Poirier is coming off a second round TKO of Eddie Alvarez this past Saturday at UFC Calgary while Diaz was last seen losing a unanimous decision to Conor McGregor at UFC 202 in August 2016. For Poirier, he gets another big name after calling out UFC lightweight champion Khabib Nurmagomedov who is expected fo face McGregor this year if the two sides can come to an agreement. For Diaz, he gets back into the mix against a higher-profile opponent after a long absence and wanting more money to return. Even with a loss, a trilogy fight against McGregor seems inevitable while a win could also mean McGregor or even Nurmagomedov if he was to beat the Irishman.